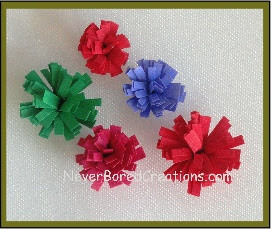 Step 4: Make your fringed flower. 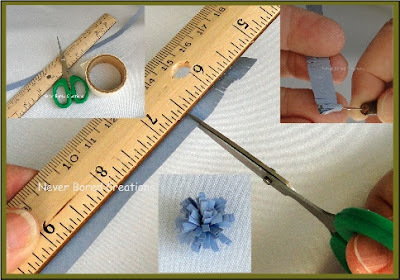 Here are some examples of different lengths of cuts and colors. Hope you enjoy this addition to your arsenal of tips for making your quilled project just smashing! While you're at it, hop over to my facebook page and share a pic of your project!